I love castles. 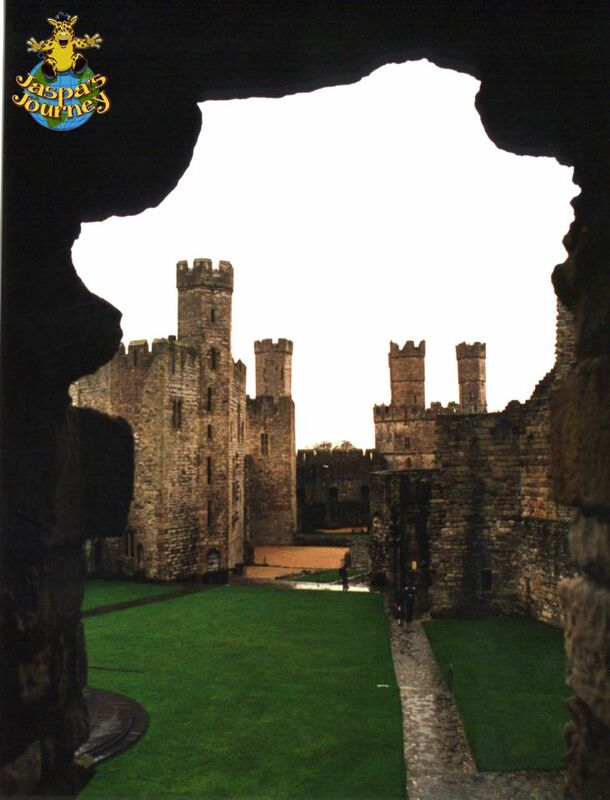 Especially the medieval castles of North Wales. UNESCO agree with me, since they made The Castles and Town Walls of King Edward in Gwynedd a World Heritage Site in 1986. 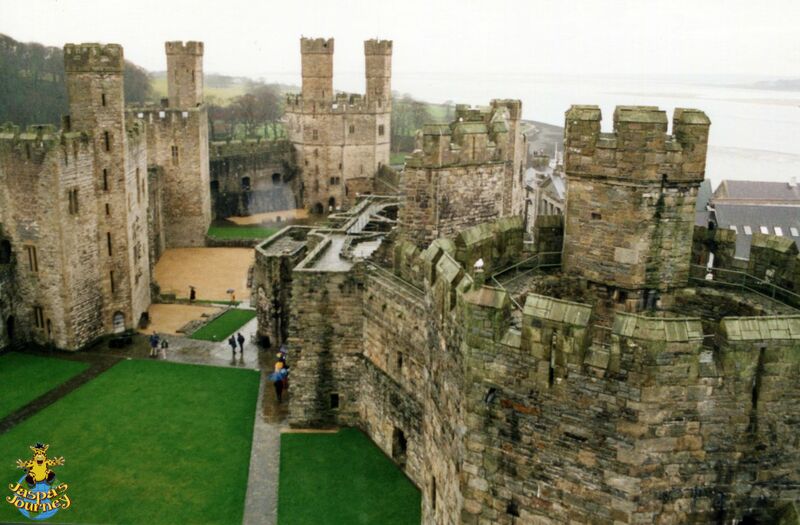 And my absolute favourite is Caernarfon Castle. 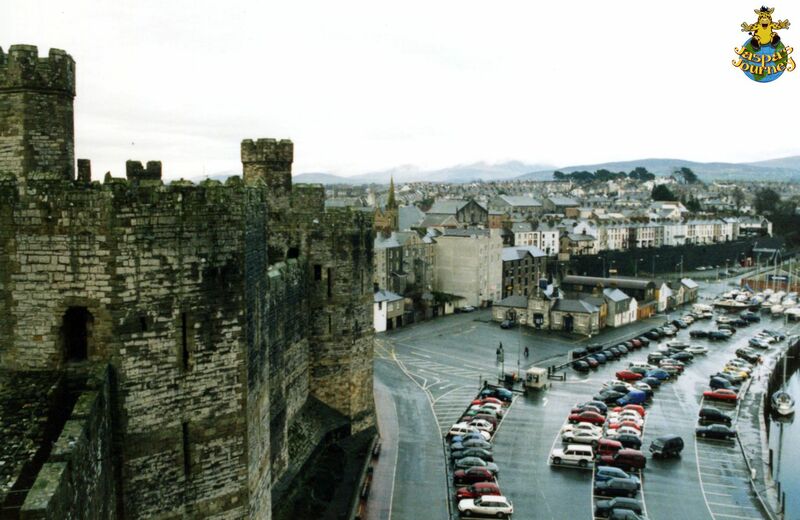 There’s been a castle at Caernarfon (previously spelled Carnarvon or Caernarvon) since the 11th Century, and before that the Romans had a fort at nearby Segontium. 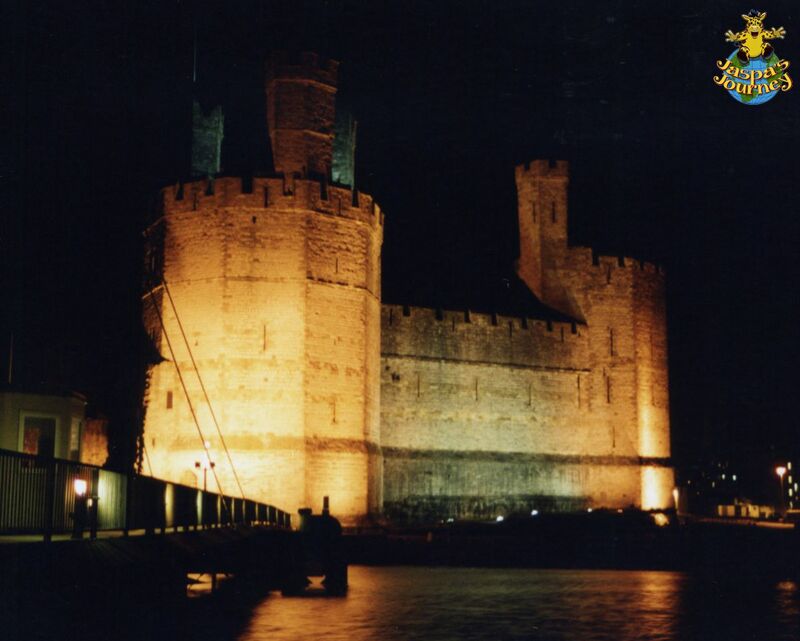 The current fortress was commissioned by King Edward I of England in 1283, in an attempt to keep the local Welsh under control. 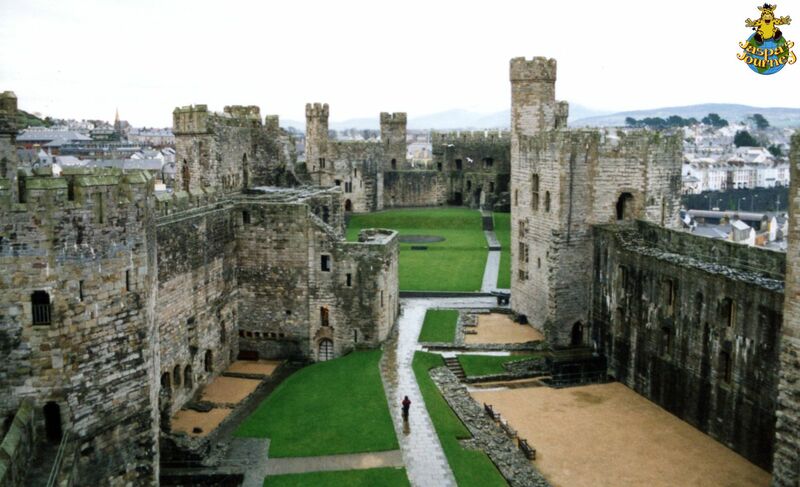 After an initial building frenzy, lasting a decade or so, work continued on Caernarfon Castle until around 1330. At that point, construction all but stopped, with some inner parts of the building still incomplete. The castle itself is massive, at around 575 feet long and 220 feet at its widest point. Some of its beige stone walls are 20 feet thick at their bases. 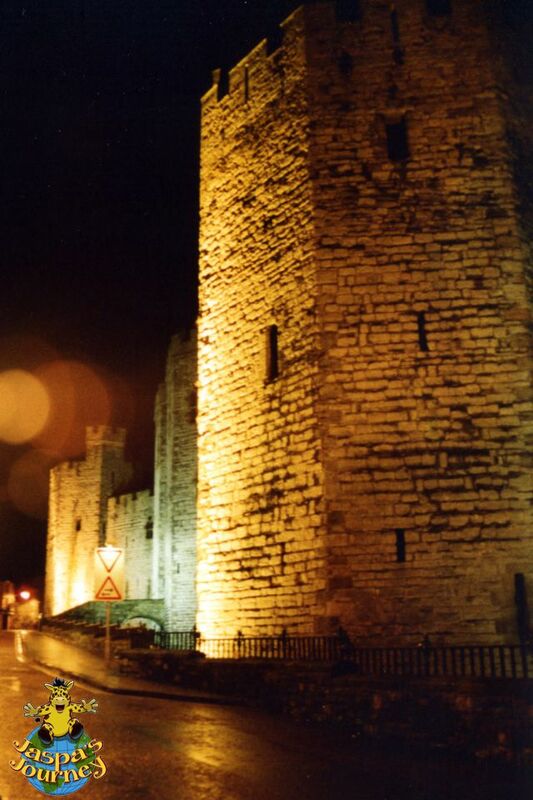 And the castle itself was part of a large fortified wall, which surrounded the medieval town. 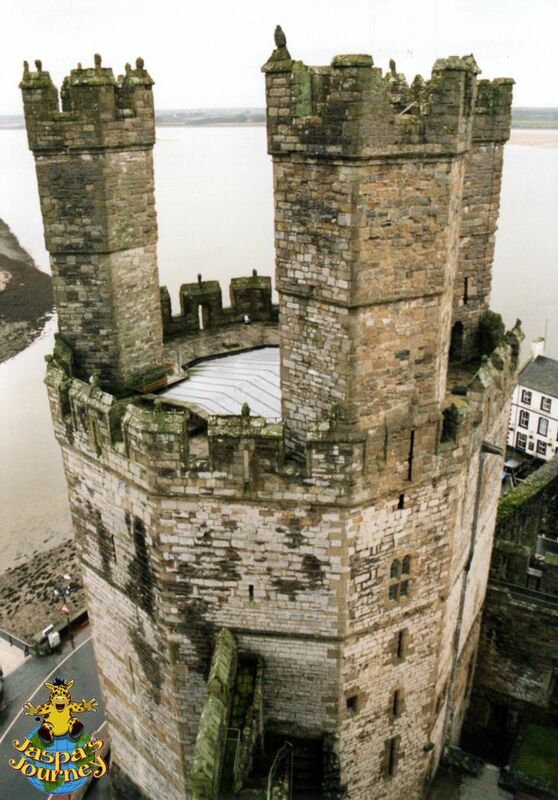 Caernarfon Castle had an unusual design, with a narrow ‘waist’ essential splitting the structure in two, giving it an hourglass or figure 8 shape from above. 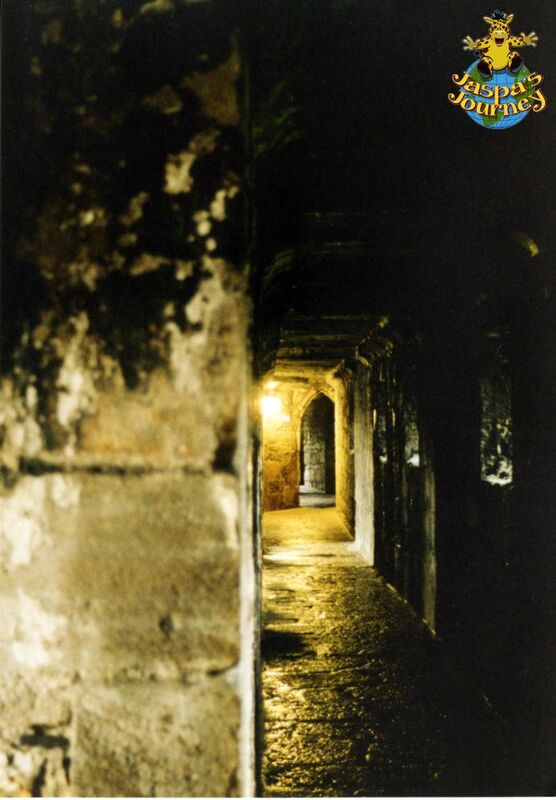 The area east of the ‘waist’ is known as the Upper Ward, with the Lower Ward to the west. 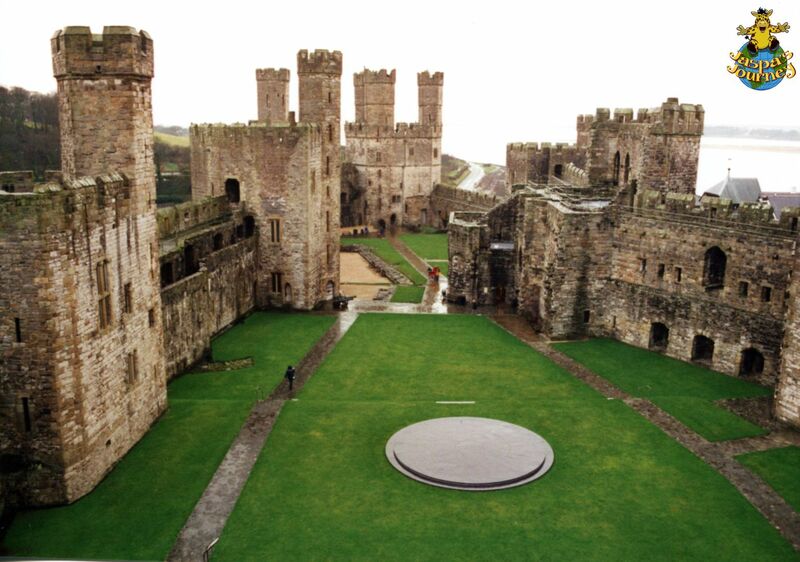 Today Caernarfon Castle is under the protection of CADW Welsh Historic Monuments, an organisation of which I’m proud to be a member. This post was inspired by the photo themes of Structure and Enamored from The Daily Post, Colors that start with the letter B from Cee’s Fun Foto Challenge and History from Nancy Merrill Photography. 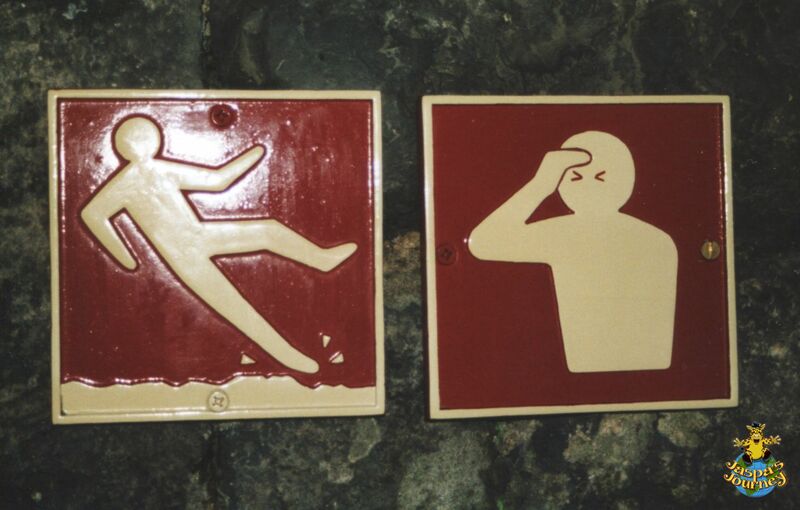 Sorry the images aren’t up to my usual standard, but they’re scans of actual photographs! 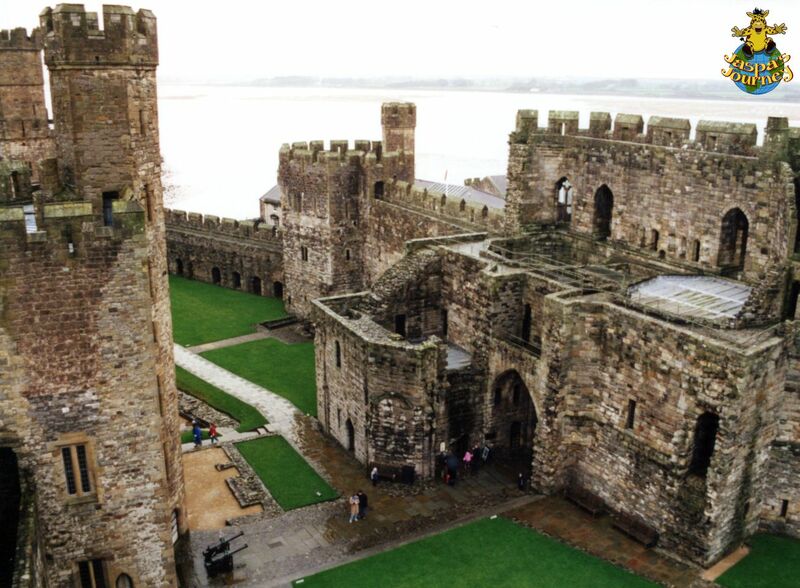 This entry was posted in Adventure, History, Travel, UNESCO World Heritage Site, United Kingdom and tagged Cadw, Caernarfon, Castle, medieval, Wales. Bookmark the permalink. Pingback: Structure: Coffee Rocks in Mugs | What's (in) the picture? Beautiful structures indeed! Good selection! 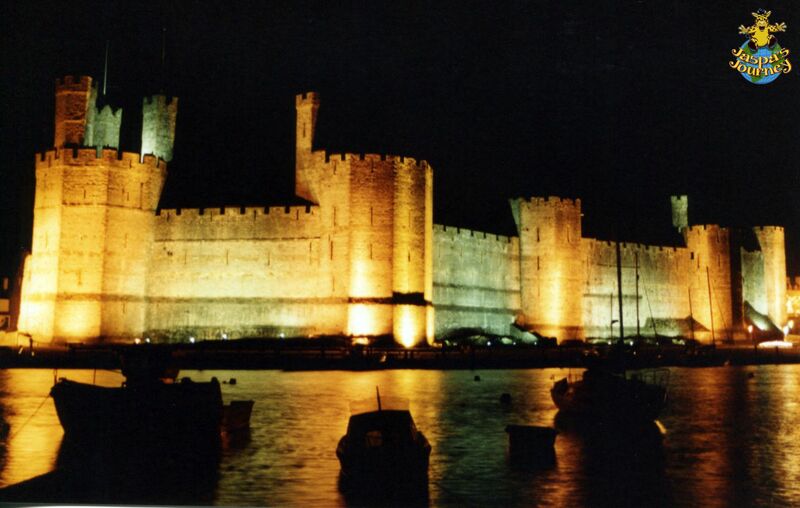 Looking forward to visiting Caernarfon Castle in late October. A structure I’d like to visit. Thanks for sharing.